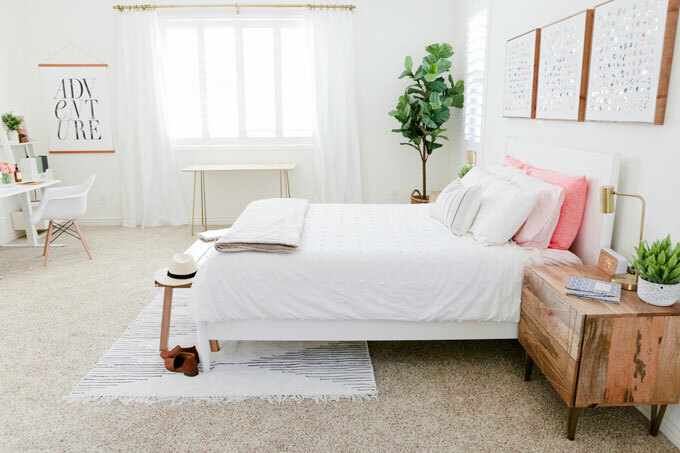 Our Master Bedroom Reveal & Experience Using Modsy – After 2 years in our house, we FINALLY tackled the master bedroom with some design help from Modsy. We love how it turned out! Scroll down for the source list and a coupon code! This post is written in partnership with Modsy, a digital interior design service. All opinions are my own. Get 20% off your Modsy design package with code LOVELY20 at checkout! Are there any spaces in your house you just don’t know what to do with? Ours has been our master bedroom. 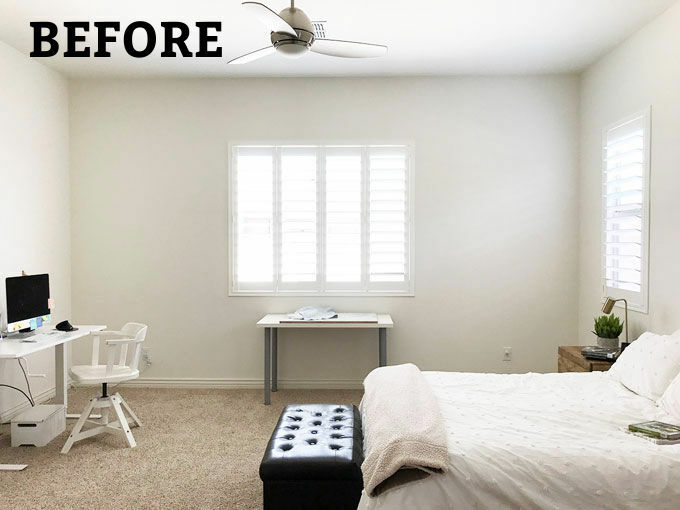 I’ve had no trouble putting together Milo’s room or Sophie’s room–heck, even our laundry room!–but for some reason our master bedroom has been SO challenging for me! This room is very multi-purpose. If you follow me on Instagram, you’ve probably seen that I do all my recipe photography and videography in my bedroom. The light is the clearest, best-quality, and most consistent of any room in the house, which allows me to shoot in 100% natural light. I also do a lot of computer work in here, so having a functional desk space was really important. I’ve had this sad little blank wall of desk space for a while and just haven’t known what to do with it. Maintain the natural light and brightness of the room. This means no bright purples or moody greens or bold patterns that could mess with the quality of light in the photos/videos. We needed a lot of white and soft colors that wouldn’t impact the color of the light in my photos. I don’t want the room to feel boring. 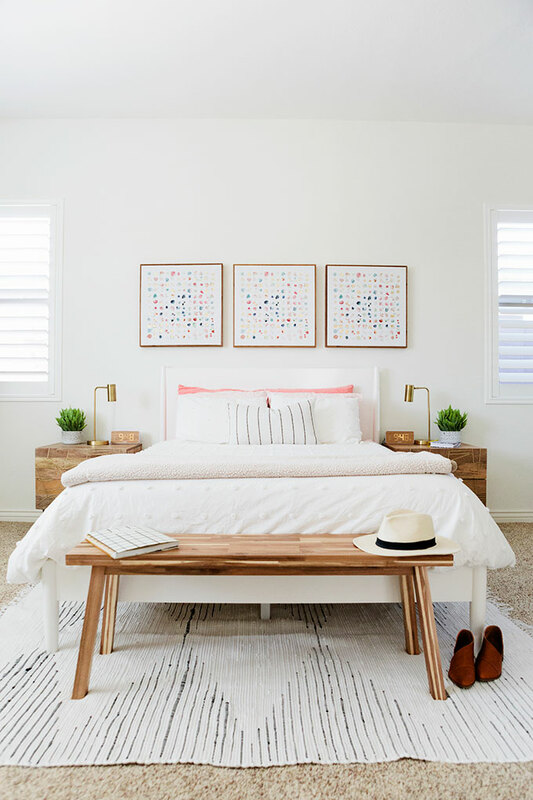 White bedrooms don’t have to be boring! They can feel restful and inviting, but that meant adding small pops of soft color, some green plants, a variety of textures, etc. to soften the space so it doesn’t feel stark and sparse. I need a photography station by the large window. 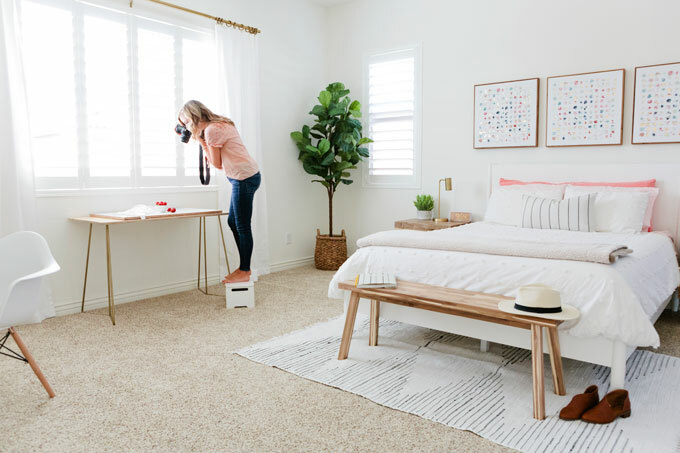 It’s been tough to come up with a set-up for food photos that doesn’t look like, well… a set up for food photos in the middle of the master bedroom. I was using an old battered desk that’s light enough to move but is a real eyesore with all the dents and dings. I was hoping for a surface that would look nice when I’m not doing photos and still be mobile and functional when I do need to work on photos and videos. I wanted a restful, quality bed. Our old, creaky IKEA bed frame bit the dust last year after 8 years and a bunch of moves, and we have been struggling to find one we loved without having a vision for the rest of the room. I wanted kid-friendly furniture. I started college in the interior design program before switching to nutrition/Public Health, and my favorite professor always said “form follows function,” meaning the aesthetics come second to function. (aka. if it looks pretty but isn’t functional, you’ve failed.) I totally agree. My kids are always in and out of our room throughout the day, and I needed fabrics and materials that would be child-friendly. I can easily wash or bleach white bedding, but I *can’t* easily wash or bleach white velvet chairs or intricately upholstered benches, so I wanted furniture that didn’t prioritize looks over function. We definitely had a budget. While I’d love to throw caution to the wind and just order the prettiest pieces in all the land regardless of price, we are a family on a budget. We needed to update several pieces in the room (a bed, the photo station, some added storage, a bench at the end of the bed, some decorative pieces, etc.) and needed to stick to a budget to do it. To help us meet our design goals, we partnered with Modsy, a digital interior design service several friends have used and recommended. It gave us the benefits of consulting with professional interior designers without the same cost of hiring one privately. 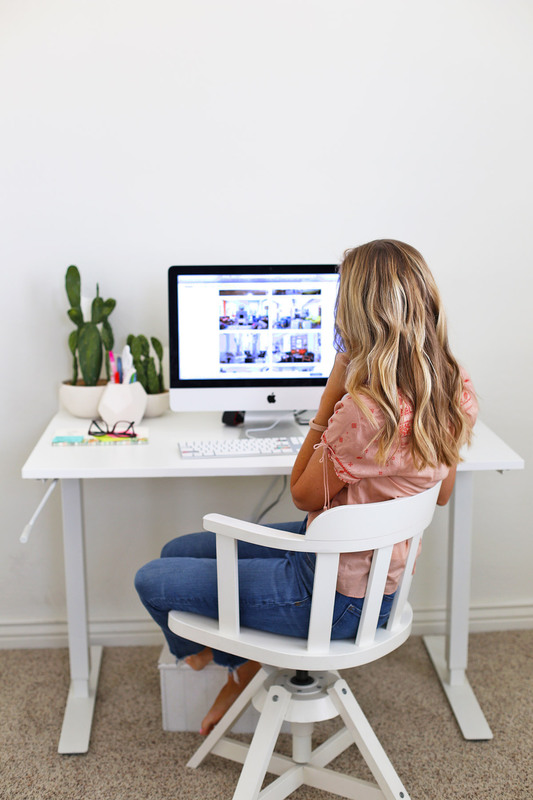 How it works: In essence, you take a design quiz, fill out some forms with your design goals, budget for the project, suggested budget for each piece, and any special considerations or requests you have. Then, you take measurements and some photos of your space (phone pictures are fine! ), upload them, and the Modsy interior designers will get back to you with two design ideas to choose from. Then, you get unlimited revisions. That means, if you’re not happy with something, or don’t feel like they really nailed your personal style, you can absolutely send that feedback and try again. Unlimited revisions. I tried to provide as much detail as possible in my initial design forms, with links to Pinterest boards, Instagram photos, websites, etc. of rooms I liked as inspiration. Our designers nailed a lot of the items on our list, but there were some things I wanted re-visited, or things I *thought* I’d like, but changed my mind once I saw them in the room. They were very gracious about revisiting the goals and taking my feedback into account. 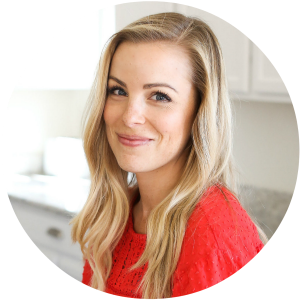 Don’t be afraid of being a hassle or going back to the drawing board again! There’s also a self-revise option that’s in beta testing right now, so you can even play with the design yourself to provide feedback for your designer or set things up where you like it. I used it and loved it. Cost. Hiring an interior designer can be expensive, especially if you need multiple revisions to get the design right where you want it. Modsy has a flat design fee per room that comes with unlimited revisions. There are some extra costs you can opt-into if you like. (For instance, if you want to add a specific piece that’s not in their database, they can create a 3D rendering and add it in for you for a small fee.) But otherwise, it’s a single cost with unlimited revisions. You can also get 20% off your design package with code LOVELY20 at checkout! Excellent Quality Renderings. I don’t know what I expected when I saw they’d come up with 3D renderings, but I was blown away by how top-quality the renderings are. They look just like your actual room! They provide several “photo” angles and views, as well as a 360° view so you can see how it will look all together. Try Before You Buy. I’m notoriously indecisive when it comes to interior design decisions for my own house. Usually, that means lots of ordering, shopping, and returning items before I land on what I really like. 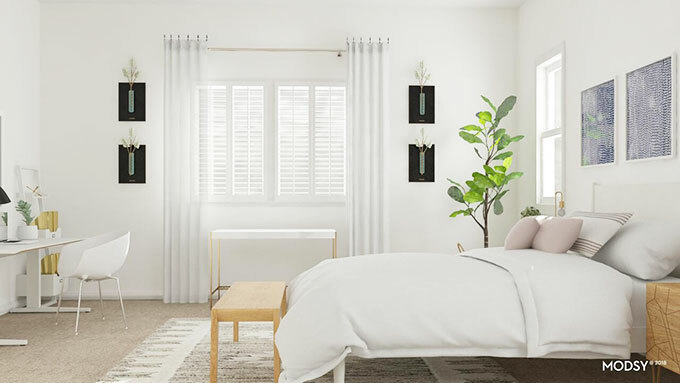 With Modsy, I could see how pieces would look in the room before doing any ordering or shopping so there was MUCH less guesswork (and fewer returns!) involved. Shoppable Links. Another great plus is that your designers will give you shoppable links for the items placed in the room, which means you don’t have to go hunt everything down on your own. You’re welcome to shop around, of course, but they make it easy for you to find everything in one place. 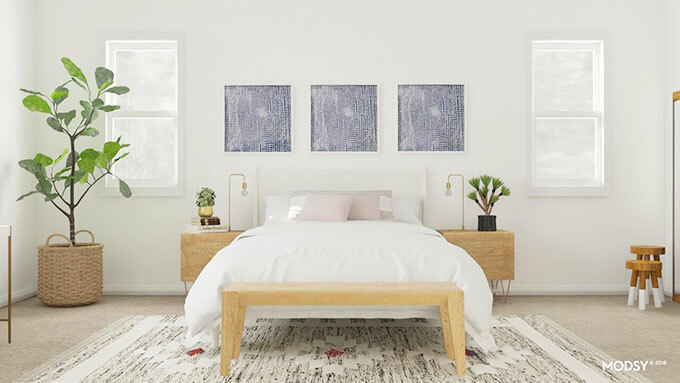 Click on each item below to shop our bedroom picks. Don’t forget to use code LOVELY20 for 20% off your Modsy Design Package! After photos taken by Ashley Madsen Photography. Just beautiful and peaceful! Congratulations on finishing this wonderful space. It looks just gorgeous and you will love it for many years to come. White is awesome! I just redid both of my upstairs bathrooms completely in white and it is really stunning. Love the photos!!! Teresa – THANK YOU! I’m so happy with how it turned out. And YAY for gorgeous white bathrooms! I bet they’re lovely! You have such an eye for this! Come help at my house next?! You’re SO nice. And GIRL! Every single thing you’ve done in your house looks AMAZING. Can u please let me know the paint brand and color of the walls. The room is gorgeous!